You don't need expensive equipment to record your guitar, an iPhone or iPad will do just fine. As someone who plays guitar and records my own music, I’ve been really keen on trying to record an EP using iOS only. I’ve done it on a Mac before, but since the introduction of the iPad I’ve been wanting to record on a touch interface. I’ve used an iPad mini, and it worked well, but with the introduction of the iPad Pro, I wanted to give it another go. Here’s what I’ve learned so far. Most iOS devices will do the job but I’d recommend that you have at least a lightning connector for best results. In my experience, I’ve used the original iPad Mini, iPhone 5, iPhone 6, iPhone 6S and iPad Pro – all worked fine with no problems. 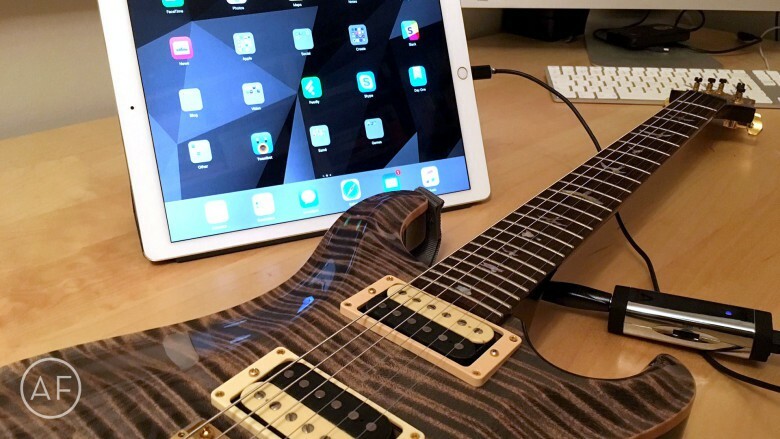 In order for your iOS device to see your guitar signal as an input you will need an audio interface, something that connects your guitar to your device via a piece of physical hardware. Given the popularity of recording on iOS over the last few years, there is now an abundance of options out there to fit any budget. I’m going to share a few with you that I’ve used and would highly recommend. The jack of all trades, with support for both Mac and iOS. 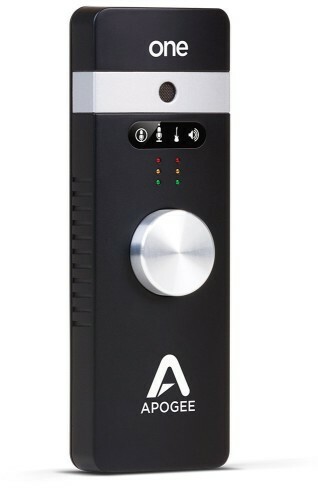 The Apogee ONE is the jack of all trades. It functions as an audio interface for your Mac and iPhone or iPad, but also contains a really good condenser mic you can use for creating podcasts, singing, or recording acoustic guitar. You’ll need to install the free Apogee software but aside from that, it has worked great out of the box with every bit of recording software I’ve thrown at it — more on this later. Easy to use, good price point, includes gain control. The 96K is another product from Apogee that functions solely as a guitar interface, meaning no condenser mic, like the ONE features. You simply plug the 96K into your iOS device via Lightning and your guitar into the other end via a standard guitar lead. It’s the device I’ve been using the most. The 96K is no fuss and produces great results. It also has built-in gain control with LED so you can control the output coming from your guitar. This way you won’t overload the recording software you are using. Decent results that don’t break the bank. 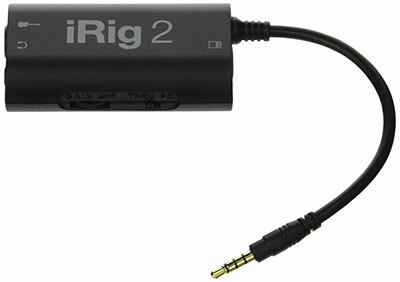 The iRig 2 is a really popular option that produces decent results and won’t break the bank. 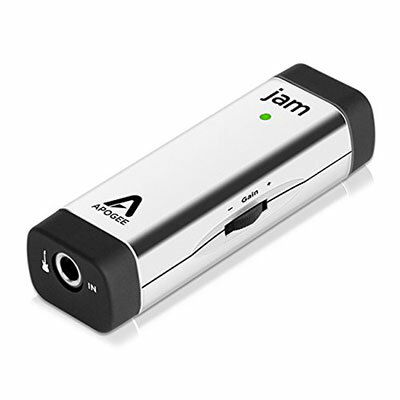 It uses the 3.5mm headphone port for input so it isn’t as high quality as using the Lightning port, but the results should be perfectly fine if your needs are basic, aka simple sharing and practice. It’s incredibly portable and for the money, it’s one of those purchases that’s worth it just so you can throw it in your gig bag so that you always have it. GarageBand offers decent options and features at a more-than-decent price. Apple has been developing GarageBand for years. It’s not updated as frequently as some other options, but it gets the job done. It’s where most of my recordings take place and I make full use of the various guitar amp and pedal modeling available. It doesn’t have a massive selection but the main ones (reverb, chorus and overdrive) are good enough quality to get decent results. You can also share your creations straight from GarageBand to YouTube, Soundcloud, and more. JamUp Pro packs a plethora of amps and effects in a single app. If you want an app that comes with all the amps and effects you can think of, JamUp Pro is what you want. It offers a wide range out of the box and then offers in-app purchases of many more, plus a user submitted library of patches. I find this most useful when I am looking for a particular tone or want to jam along with my favorite artist. I go to the library and download the patch. For example, if I want a sound like Joe Bonamassa‘s, I just search for his name and test out what the community has uploaded. JamUp Pro offers an in-app looper for practice as well as an 8-track for recording. You really can’t go wrong downloading JamUp Pro for all your guitar needs on iOS.